Irene has worked for more than 20 years in medical speech pathology in a variety of settings, including acute care hospitals, acute rehabilitation, outpatient services, home care and skilled nursing facilities. She has a wide variety of experience with medically complex disorders which enables her to have a “big picture” view in treating the whole person as the disorder affects their lives. She has extensive experience with disorders of voice, swallowing, and adult neurological disorders. Irene was on staff as adjunct faculty in the Speech Pathology Assistant Program at Nashua Community College for 9 years and taught courses on advanced topics in speech pathology and clinical procedures. Irene has also had performance experience in community and professional theatre in Massachusetts and New Hampshire and has had advanced training as a singer and performer. 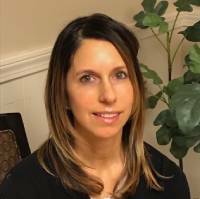 Irene maintains certification through the American Speech and Hearing Association (ASHA) and is licensed as a Speech Pathologist in the states of New Hampshire and Massachusetts. Keri has over 18 years of experience working with adults specializing in the treatment and management of dysphagia. She earned the Certificate of Advanced Graduate Study from Boston University where she was mentored by Dr. Susan Langmore. During her education at BU, Keri has taught dysphagia courses and is currently a guest lecturer at Boston University’s Sargent College for SLP graduate students. Keri also teaches the dysphagia course at the University of New Hampshire. Keri gained extensive clinical experience at Boston Medical Center with a focus on head neck cancer as well as attaining proficiency in fiberoptic endoscopic evaluation of swallowing (FEES). Keri is currently the only board certified specialist in swallowing and swallowing disorders (BCS-S) in New Hampshire. 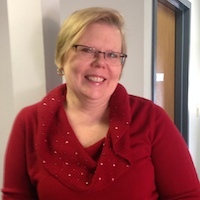 She is the recipient of 8 awards for continuing education recognized by American Speech and Hearing Association and was recently awarded with the academic rank of Adjunct Clinical Instructor from Boston University. Keri has been actively involved in research with areas of interest in dysphagia rehabilitation, head neck cancer and aspiration/oral care. She has several publications in peer-reviewed scientific journals. Keri has presented at numerous conferences including the Dysphagia Research Society’s annual conference and American Speech and Hearing Association’s convention. Keri is serving on the executive board for the New Hampshire Speech, Language and Hearing Association as the Vice President of Membership – Outreach. She is passionate about providing education and training in the field of swallowing and swallowing disorders to her colleagues and the public.